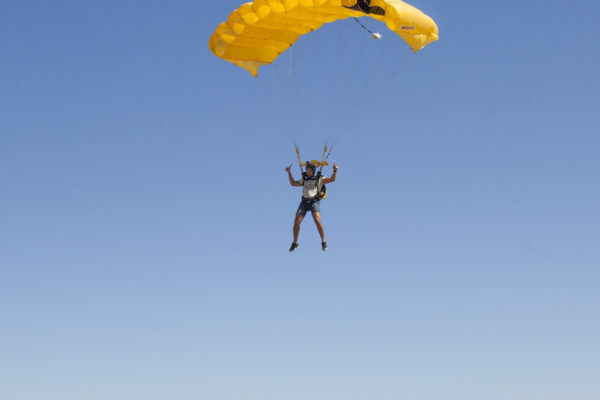 Skydive Algarve is home to the Icarus Canopy School Coach, Bruno Geada, with him you can improve your parachuting skills and learn the basic fundamentals of canopy aerodynamics. Understand how to improve flying your canopy, being the pilot of your canopy and learn how to land instinctively on your own two feet. We offer most commonly the 2 day courses with 8 jumps from 5,000ft (1,500m). The course also includes ground theory, video and debriefing and you will receive a certificate at the end. All courses have a minimum of 4 participants. In this active pilot course, you learn how to deal with different conditions under canopy. Such as difficult wind situations. You will learn all the Control inputs of the canopy itself as well as how to use your own body position to control the canopy. This course will enable you to become a much more skilled and confident canopy pilot. Included in this 1-day course will be 5 jumps and 3-4 hours of theory class. 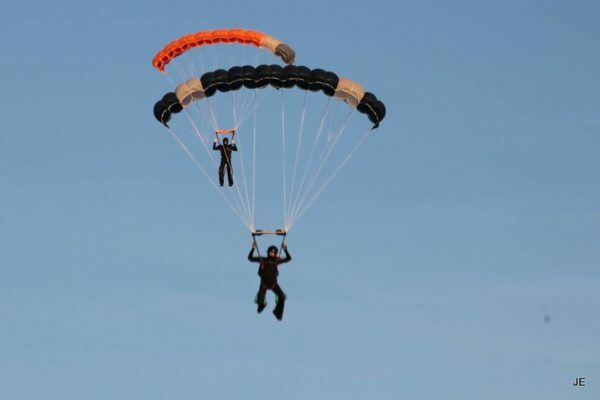 The Beginners 2-day course focuses on landing safely. You will learn to land accurately and softly. 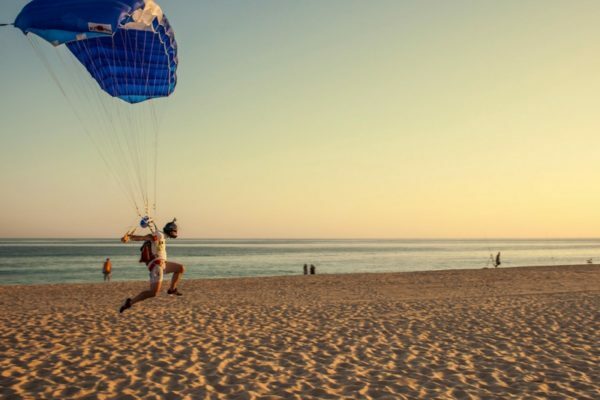 As well as the attention to the landing you will learn how to fly your parachute more safely understanding the flight controls more thoroughly and gaining the confidence to discover the range of your canopy. Included in this 2-day course will be 8 jumps and 7-8 hours of theory class. This is the course in which you will learn to fly faster. You will learn how to build up your airspeed but in a safety conscious manner. As well as learning to fly faster you will learn the slow speed approach skills and the technique of arresting a dive. The introduction to swooping will be incorporated in this course and you will start working on toggle to rear riser transfers at high altitude. In this 1 day course, you will do 5 jumps and 3-4 hours of theory class. This is a defensive piloting course. This course will teach you how to overcome certain emergency situations which could arise under canopy. Examples of what you will learn are: avoiding obstacles, how to recover and arrest a dive, land off safely, land downwind safely and perfect the PLF. Included in this 2 day course you will do 8 jumps and 7-8 hours of theory class. Anyone who has completed their AFF can take part. So whether you are new to the sport or have several hundred jumps you can start learning to control your canopy better. Our canopy camp ADVANCED PILOTING is for pilots who are already experimenting with high-performance landings. We introduce you to increased acceleration and performance within a controlled environment. This is for pilots who want to take their high-performance turns and landings to the next level. Optimize your performance, power and precision. With the choice of either two or four days of non-stop coaching and guidance, your skills will improve, allowing you to enjoy every swoop. Additional hop and pop jumps from 5,000ft are charged at € 28.50 per jump during the canopy courses. Beginner and Intermediate Programs. Please schedule directly for advanced training.